If you ever get the opportunity to tour the Bradbury Science Museum in Los Alamos, New Mexico, you should most definitely not miss it. This is the museum where the story of the development of the world’s first atomic bomb is told. At the Bradbury you will find a very detailed description of the science behind the development of the most terrible weapon ever devised on the face of the earth. It is spelled out in a layperson’s language that makes it easily understandable… even for the likes of a pastor’s brain. But in addition to the science story you will also encounter the human and political story of the bomb. Many engaging displays paint a vivid picture of the long and elaborate process that led to the fateful decision to vaporize hundreds of thousands of human beings in the span of a couple of heartbeats. 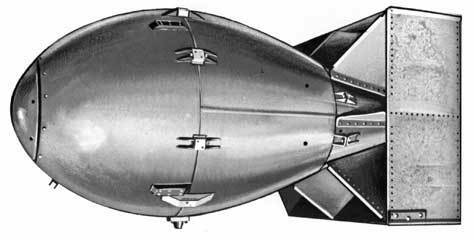 One of the aspects of the story that intrigued me the most was the story of the development of an entire town dedicated to the bomb project (codenamed “Trinity”) in the middle of the New Mexico desert. It was there at the site of an abandoned church camp where the scientists and their families relocated and worked under an intense cloak of secrecy for many, many years. Every family that was part of that mysterious community had a Post Office Box in the nearby town of Los Alamos where mail was delivered, but no one in Los Alamos ever saw any of the people who owned those boxes. For a very long time… years and years in fact… there were serious doubts among those scientists that the thing they were trying to do could actually be done. And yet, they toiled on, supported by the patriotic zeal of the Second World War and the seemingly unending flow of tax dollars. The question that has plagued me ever since learning about the bombs that were dropped on Hiroshima and Nagasaki on August 6, 1945 is some variation on the question, “How do you decide to do that?” Knowing now what we know about the immediate and long-term effects of nuclear weaponry, how does a world leader convince himself – or herself – that the benefits of taking that action outweigh the horrific harm? Many books have been written on that subject and I am sure I am not plowing new ground as I speculate about the thinking behind this decision. I know that the prevailing sentiment then – and still – is that though the death toll was staggering, dropping the bombs saved even MORE lives than it cost because it shortened the total duration of the war. It is not my intent to argue the validity of that point. It is a hypothetical that can never really be proved or disproved. But after touring this museum and seeing all the displays, here is where my mind began to go: because of the lengthy and expensive process involved in developing the atomic bomb, I could not imagine us NOT finding some reason to use it. Think about it for a moment… can you imagine the U.S. government spending multiple years, millions of dollars and millions of person-hours to develop this fearsome weapon… only to let it sit on a shelf somewhere in New Mexico gathering dust? I can’t either. The atomic bomb was – in a very real sense – an answer in search of a question. The question that finally presented itself was the Japanese aggression in the Pacific theater of WWII. But this e-note is not really about the atomic bomb or Harry Truman or the horrors of nuclear war. It is about you and me and the institution of the church. More specifically it is about posing the question: are we – church members and disciples of Jesus Christ – ever burdened by a similar mindset? Here is what I mean… are we ever guilty of holding on to an answer… a really good answer that we have worked HARD to come up with… that sits in our back pocket, ready and eager to be whipped out at the moment the appropriate question appears? I know I am. I love having a quick and confident answer… particularly to a complex question. And I can usually feel very good and justified about using my pre-programmed answer… exactly like the people who made the decision to use the atomic bomb also felt completely justified. But when we do that… when we approach the subject of dialogue with someone who is not a Christian, or who has been wounded by the church and has turned away from it in hurt and anger… when we just pounce on the chance to use this wonderful, shiny ANSWER we’ve got instead of listening deeply to what they are saying and actually CARING about their concerns, we are something less than Christ-like in our approach. We come off as someone looking to put a notch in our belt instead of someone within whom beats a heart of compassion. And my friends and fellow followers… I just don’t think that is at all cool with Jesus. It certainly runs afoul of that whole, “Love your neighbor as you love yourself” thing he talked about. I am not suggesting that we throw away the things we have learned and discerned through prayer and study about why our faith matters and who Jesus is and what a life of discipleship is all about. I am just advocating elevating the value of LISTENING and CARING over SPEAKING and ANSWERING.